I was watching a live railcam at Tehachapi, California, a few minutes ago and saw this. When the gates came down three boys charged toward the tracks. 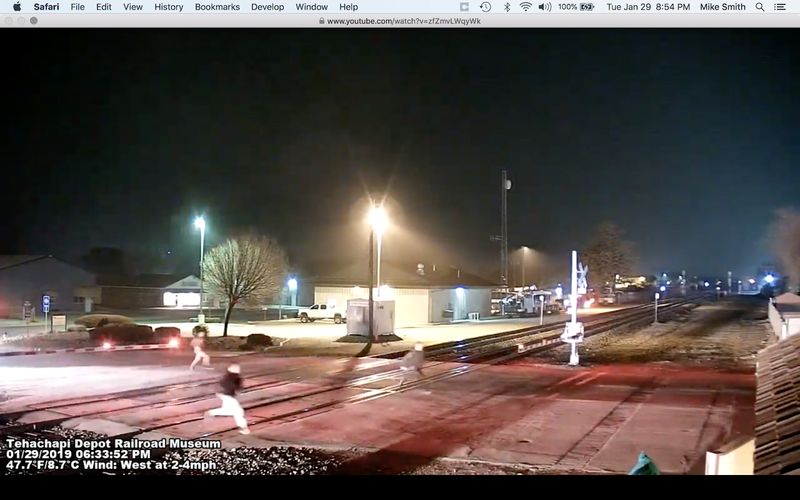 I don't know if these boys were playing "chicken" with the oncoming train or if they were just trying to get home. Regardless, what they did is a good way to get killed. 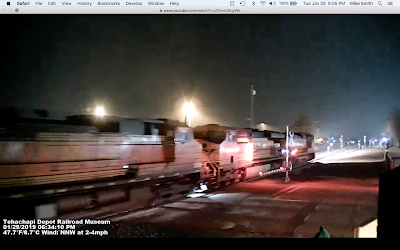 The reason they are lit so brightly is because they were in the headlight of the fast approaching locomotives. It is very easy to trip at railroad crossings due to the gap for the train wheels' flanges. Had one of them tripped, it would have been an extremely close call. Please teach your children to respect railroad crossings and signals.